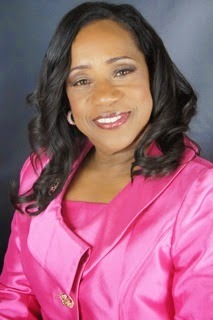 Dr. Judy Elaine Harrison is the Pastor of New Dimensions Worship Center in Houston, Texas. Dr. Harrison founded New Dimensions Worship Center December of 1990. A native of Beaumont, Texas Dr. Harrison, with a COGIC background, declared at the age of five she wanted to be a "star in Jesus name". She received her divine call to evangelism in 1975 and began traveling extensively across the country, assisting many other evangelists with crusades and revivals. After graduating from Lamar University, she relocated to Houston, Texas and attended Midwest Bible College. She later received her licensing credentials and was officially ordained by Dr. I. V. Hilliard, of New Light Church in Houston, Texas. Dr. Harrison has been honored to receive her Honorary Doctorate of Divinity from Christian Bible Institute & Seminary. She has also served under Bishop David E. Martin as a National Board Member of Rhema Fellowship in Dallas, Texas. Dr. Harrison an accomplished, anointed organist and psalmist, has performed and traveled with many gospel legends. She also received high recognition from Houston’s Directions Club, for her assistance in providing job training and job placement for female clients. Dr. Harrison has met the challenges of family and ministry with purpose, persistence and victory. She has a Real Ministry, with a Real Message for Real People. Dr. Harrison has a testimony that universally affects the entire body of Christ. She continues to motivate hundreds of people, by encouraging personal achievement and individual empowerment through spiritual maturity. Dr. Harrison is committed to Christ and is led by the Spirit of God. This higher calling has given her an even greater challenge in her spiritual walk with God. She is one of God’s most dynamic and dedicated servants. She is commitment to the spiritual and personal growth of others as God moves her to new dimensions.